Provides Food, warmth, and a path home for homeless men, women, and children in the Sacramento Area. Our executive director and founder, Lisa Culp, was working at Sacramento Loaves & Fishes when the idea formed. Lisa watched homeless mothers raising their children on the streets. She watched those children grow up, still homeless, to become mothers of new babies born into homelessness. She knew there must be a solution to this cycle of poverty. Women’s Empowerment educates and empowers women, who are homeless, with the skills and confidence necessary to secure a job, create a healthy lifestyle, and regain a home for themselves and their children. Each woman who is homeless carries great potential. Women’s Empowerment offers a pathway to a new life for herself and her children. International World Peace Rose Gardens (IWPRG) is a catalyst for peace in diverse communities around the world. The nonprofit organization was incorporated in 1988 for the purpose of creating beautiful rose gardens for peace on public, accessible sites. The gardens become magnetic centers where people gather, enjoy beauty and are inspired to be better persons and world citizens. The projects, including IWPRG youth programs, have impacted millions around the world. The American Civil Liberties Union is a nonprofit organization whose stated mission is “to defend and preserve the individual rights and liberties guaranteed to every person in this country by the Constitution and laws of the United States.” Officially nonpartisan, the organization has been supported and criticized by liberal and conservative organizations alike. The ACLU works through litigation and lobbying and it has over 1,200,000 members and an annual budget of over $100 million. Local affiliates of the ACLU are active in almost all 50 states, the District of Columbia, and Puerto Rico. The ACLU provides legal assistance in cases when it considers civil liberties to be at risk. Legal support from the ACLU can take the form of direct legal representation or preparation of amicus curiae briefs expressing legal arguments when another law firm is already providing representation. Thanks to stigma, shame and – in some cases – family rejection, LGBTQ people face number of disparities. Statistics on LGBTQ people are frightening. 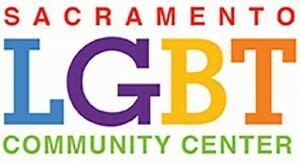 The LGBT community center is here to provide: Youth Programs, Community Resources, Community Groups, Respite and Drop off services, Training Outreach, and Advocacy. 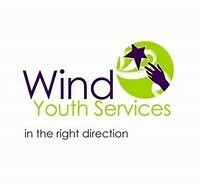 Most services are housed in the Q-Spot and include a drop-in center, support groups, youth & family events, linkages, life skills development, showers and laundry facilities. The Anti-Recidivism Coalition is a Los Angeles-based non-profit organization founded by Scott Budnick. 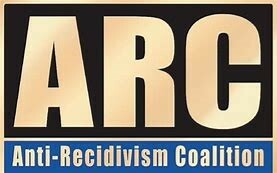 ARC is a support network for formerly incarcerated individuals and advocates for criminal justice reform. ARC’s mission is to reduce incarceration, improve the outcomes of formerly incarcerated individuals, and to build healthier communities. The success of ARC’s model is evidenced by the exceedingly low recidivism rate of less than 10 percent from members, compared to California’s recidivism rate of nearly 60 percent. ARC’s advocacy efforts have also been exceptionally successful, leading to numerous reforms in California’s justice system that have drastically improved the way the system treats young people. These reforms, which have affected more than 20,000 incarcerated individuals across the state, include limiting the practice of sentencing juveniles to life without the possibility of parole and providing second chances to individuals who committed their crimes as youth and received adult prison sentences. We are an international medical humanitarian organization. We help people threatened by violence, neglect, natural disasters, epidemics and health emergencies. Medical Aid water and sanitation provided in over 70 countries. 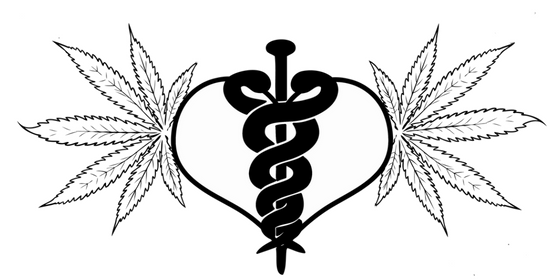 Started in 1971 by a group of French Doctors and journalists who wanted to provide access to medical care regardless of an individual’s race, religion, creed, or political affiliation. Nutritious Meal Program: A nutritious breakfast is served Monday through Friday from 7:30am-11:30am. Any woman and/or child is eligible to attend and enjoy a healthy meal in a welcoming environment. Women’s Wellness Program: Counseling, case-management, resource referrals, wellness activities and workshops are provided Monday through Friday. A special art program, “Art of Being,” offers craft club, art workshops and art therapy. All services are free. 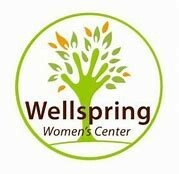 To access services, drop-in at Wellspring Women’s Center between the hours of 7:30am-11:30am or call for an appointment. Children’s Corner Program: Supervised play and enrichment opportunities are available for children ages 2 through 8 years old during the morning meal hours. Safety Net Services: Occasional assistance with transportation, education, and health services. Provision of hygiene products and diapers. Our mission is to enhance doctor/patient communication, specifically in end-of-life conversations; strengthen patient-centered healthcare; and to reduce health and healthcare disparities with a focus on chronically and terminally ill homeless individuals. Through our detailed research and determined campaigning, we help fight abuses of human rights worldwide. We bring torturers to justice. Change oppressive laws. And free people jailed just for voicing their opinion. Amnesty International documents and campaigns against violations of international law during armed conflicts, regardless of who the perpetrator is or where the abuse occurs. Working with governments and other groups to fight the injustices form Armed Conflict, Corporate Accountability, Death Penalty, Unlawful Detention, Disappearances and many other human rights issues both in the United States and Abroad. 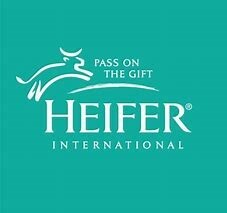 A Heifer program is a set of strategically connected projects aligned with a long-term commitment that empower small-scale farmers to achieve socially, economically and environmentally secure livelihoods. Because our programs are constructed to address the specific needs of a region, they can vary in size and geographic scope. They can exist within a single country, or span across national borders to help as many people as possible. This focus on scalability allows our work to have the greatest, most lasting impact possible. Our programs are designed to unify our smaller projects to address large-scale, regional challenges. Each initiative is developed using a five-pronged programmatic approach. We teach people how to use environmentally-friendly farming methods, create and operate businesses, and support their communities with their knowledge. We strengthen entire communities by making large-scale improvements to existing economic systems to benefit farmers. We help women develop leadership skills so that they can have access to greater opportunities such as education and entrepreneurship. 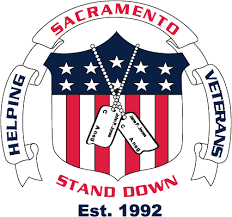 Sacramento Stand Down brings together agencies and services providers to provide a comprehensive support network that encourages and assists homeless Veterans to address multiple problems at one time and in one place. Sacramento Stand Down provides a safe environment in which our Veterans can connect with people who have shared their own experiences and who have a goal of helping them cultivate hope that they can rebuild their lives.